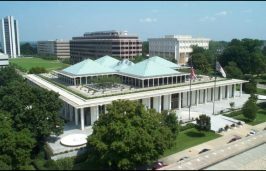 RALEIGH — A late addition to a conglomerate of environmental provisions the General Assembly passed Thursday spends $435,000 for local efforts on GenX, but the move added fuel to a political fight over funding and responsibility between the administration and the legislature. Following Senate approval Wednesday evening, the House voted 61-44 in favor of the final version of House Bill 56. Action came just after noon Thursday, before the weeklong session called to deal with a federal court order to redraw state legislative districts adjourned. Democrats blasted the last-day decision to add the GenX funding to a bill that included disputed provisions. “If you really want to fix the problem, work with us, but all you’re doing today is passing something so you can say you did something, knowing most likely it will be vetoed for this or a number of other reasons,” House Minority Leader Darren Jackson said. Jackson and others urged the House to vote the bill down and instead work on a more comprehensive solution. Republicans called it an important first step in a legislative response to the crisis. The omnibus legislation, which runs 19 pages and includes 20 separate provisions, has been in limbo since first passed by the House last April. It was modified in May and June by the Senate to include new provisions including a controversial repeal of the plastic bag ban that has been in place for years on beach communities in Dare, Hyde and Currituck counties. 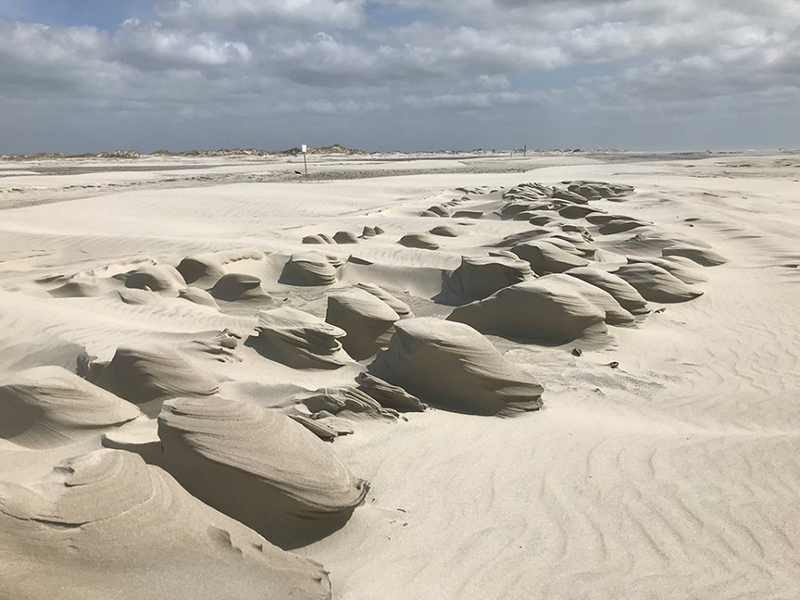 It also creates a new coastal storm damage mitigation fund, a priority of Senate Majority Leader Harry Brown, R-Onslow, that creates a permanent funding mechanism for beach re-nourishment projects. A similar draft compromise of the bill was circulated during the short legislative session in early August, but never came to a vote. 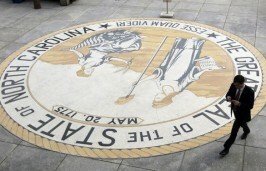 The latest version of the bill emerged from a House and Senate conference late Wednesday as the General Assembly wrapped up work on the redistricting session. 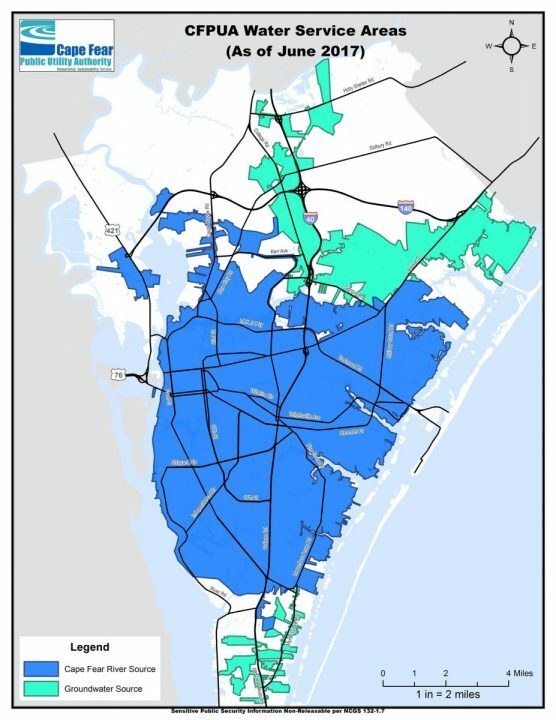 It includes an extensive provision drafted after a hearing last week on GenX issues in the Wilmington area by the Environmental Review Commission, a joint House and Senate commission that serves as the legislature’s chief environmental oversight body. 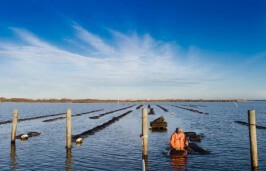 The provision, based on a proposal announced at the hearing by Sen. Mike Lee, R-New Hanover, provides money to the University of North Carolina Wilmington for testing and evaluation of the extent of contamination in the Cape Fear River and its effect on human health. It also directly funds work by the Cape Fear Public Utility Authority, which supplies drinking water to about 200,000 Wilmington residents, to develop a treatment to remove GenX from the water supply. A key finding in a study that triggered the alarm in June about water quality in the Cape Fear River was that the current treatment process is unable to remove GenX. Levels found in the river were close to those found in the treated water, the study found. Although state regulators were able to get Chemours, the Dupont spinoff responsible for GenX, to stop discharging the compound from its Bladen County plant, researchers say there are likely deposits of GenX and other potentially harmful compounds in the river ecosystem. During House debate Thursday, Rep. Holly Grange, R-New Hanover, argued that it is essential to find a way to remove GenX from the water supply. Grange said the utility authority should receive the funds because it is already moving ahead with testing new filtration systems. New Hanover Democratic Rep. Deb Butler argued against the bill, saying it was too narrowly focused, and called for the legislature to give Gov. Roy Cooper’s administration the resources it needs to beef up enforcement and testing. Butler said a provision forcing the Department of Environmental Quality to file an official notice of violation is a bad legal strategy, considering the complexity of the case and the recent release by Chemours to DEQ investigators of 50,000 pages of related documents. Grange and Davis disagreed, saying they believe the authority is taking the right steps to win public trust. The legislature’s move drew a sharp response from Gov. Cooper, who has not yet announced whether he will veto the bill. 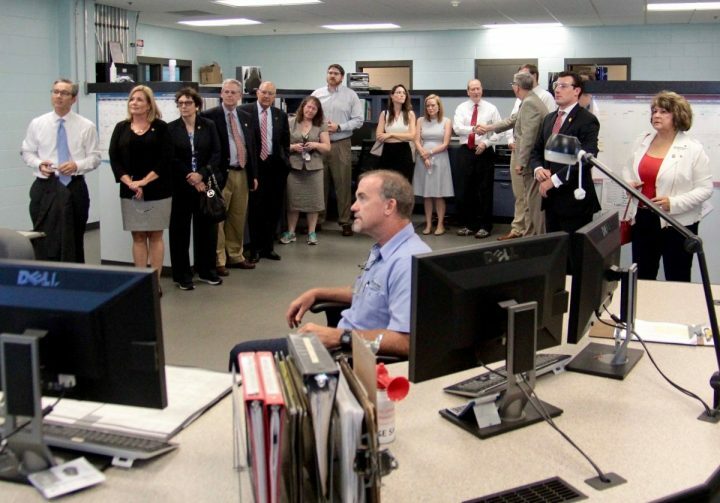 Cooper, who has recently toured water treatment plants in New Hanover, Pender and Brunswick counties, announced a multi-stage plan last month that included a request for $2.6 million in funding for DEQ and the Department of Health and Human Services for additional testing, research and outreach. Sen. Trudy Wade, R-Guilford, the Environmental Review Commission Senate chair, said last week that the commission would review the governor’s funding request in September. In addition to further work proposed for the commission, House and Senate leaders set up separate select committees charged with investigating GenX contamination of the Cape Fear and looking into water quality strategies statewide. Davis will chair the House Select Committee on North Carolina River Quality and Wade will chair the Senate Select Committee on North Carolina River Water Quality. While legislators argued, DEQ officials were reviewing new information from the Environmental Protection Agency identifying two new compounds of concern coming from the Chemours facility. DEQ Secretary Michael Regan and Department of Health and Human Services Secretary Mandy Cohen have scheduled a media briefing on the new EPA report for Friday afternoon. The GenX provision in House Bill 56 includes a $100,000 allocation from the state’s Contingency and Emergency Fund for the Cape Fear Public Utility Authority to identify and deploy a water treatment technology to remove GenX from the water supply and $85,000 for additional monitoring. The authority, which is directed to coordinate the effort with other area utilities, is due to report back to the legislature on Dec. 1. 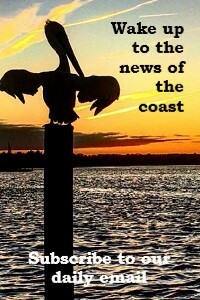 The bill allocates an additional $250,000 to UNC-Wilmington to “measure the concentration of the chemicals in the sediments of the Cape Fear River, the extent to which the chemical biodegrades over time or bioaccumulates within local ecosystems, and what risk the contaminant poses to human health.” An initial report from the university is also due on Dec. 1. 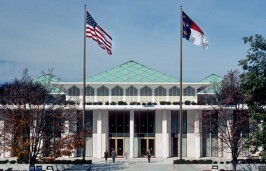 The legislation also charges the recently created North Carolina Policy Collaboratory at UNC-Chapel Hill, with accelerating work on a digital database for National Pollutant Discharge Elimination System, or NPDES, permits. Another GenX section of the bill prods the state Department of Environmental Quality over the department’s delay in issuing a notice of violation for the Chemours facility. The bill requires DEQ to either issue a notice by Sept. 8 or file a detailed report to the commission on why no notice was issued.